1. step one: keep baby’s feet on our lap all the time. 2. step two: hold baby’s thighs firmly with our hands. As a result, the baby would straighten his/her upper back naturally in this position. Fashion Tips: Cawayi Eiffel Tower bodysuit & Zara kids shorts. Mon bébé has several nicknames. Here is the list. 1. Mon bébé, called by Maman. 2. Jer or Jerjer by Papa. 3. “Pou”jer by Tianmou A-Ma. 4. 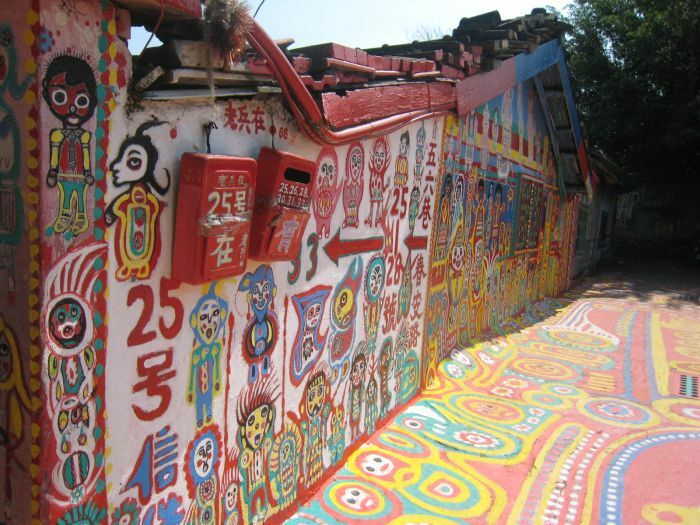 Doua-Ma-A (大目仔) by iF A-Gon & A-Ma. 5. Tu Bao or Tu Baobao by our friends and family members. * Mon bébé is a good eater recently. 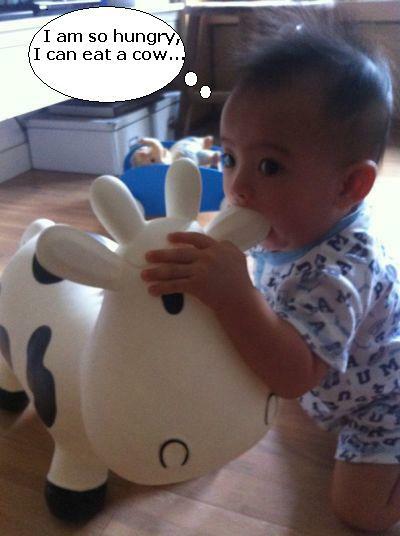 * Thank you, uncle Rain, for the Jumping Cow, & thanks to auntie Rieko, for the photo. I got a big and heavy delivery this morning. I was so excited that I opened the box right away. When I opened the flaps, pop! 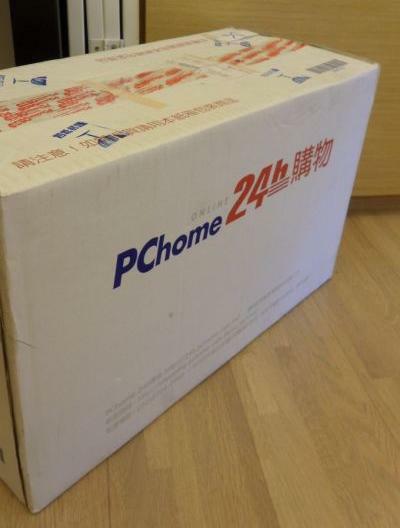 – out of the box came a big baby. It was mon bébé. 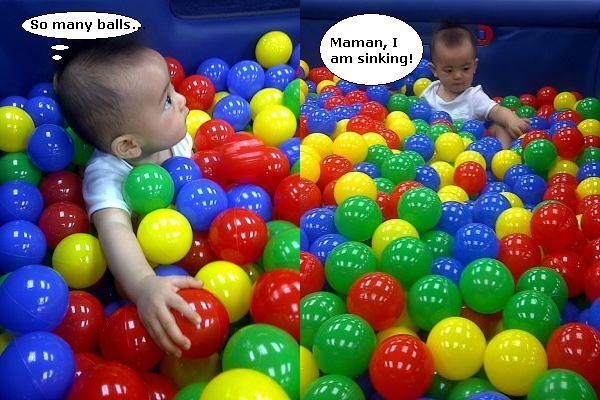 This is one of mon bébé’s favorite games nowadays. Mon bébé enjoys being in a tiny space all by himself and playing with his toys. *For those who are worried, mon bébé was not in the box in the first picture. Fashion Tips: Baby Gap navy blue sleeveless top & Baby King white shorts. Mon bébé likes to read, just like Papa. Everyday he would go to his small library and choose some books to read. 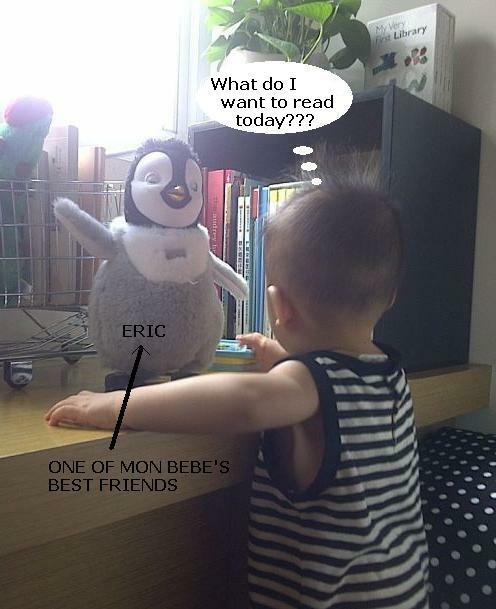 He usually picks the same ones– “Hungry friends,” “Goodnight moon,” and “The very hungry caterpillar.” Then Mon bébé sits (hides) at a corner and reads the books one by one. 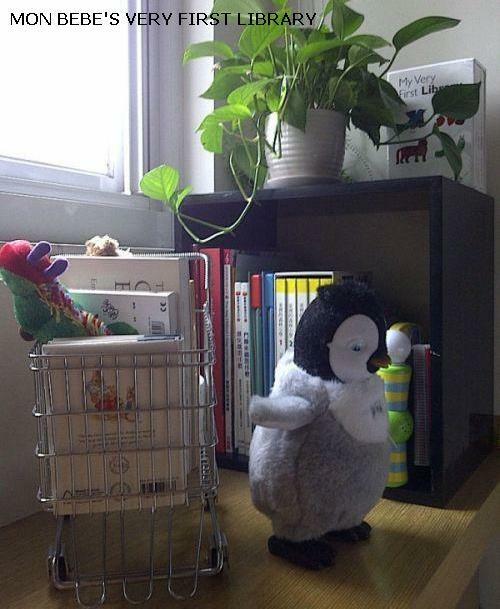 The small corner is a 50cmx50cm space, right under his bookshelf, and right besides our sofa. We call it mon bébé’s Secret Base. 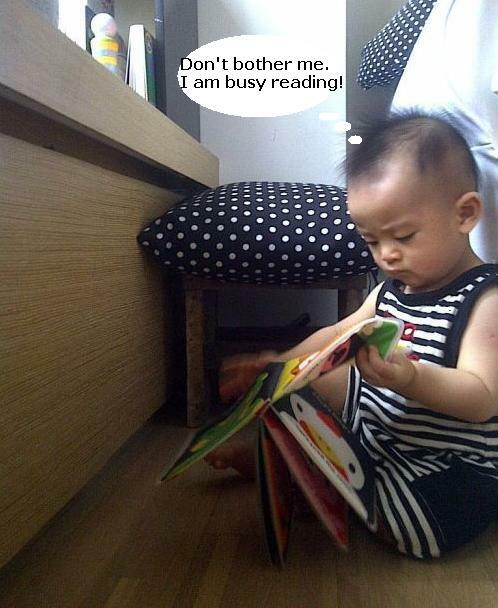 *Spacial thanks to auntie Huiwen for all books in the mini shopping cart. 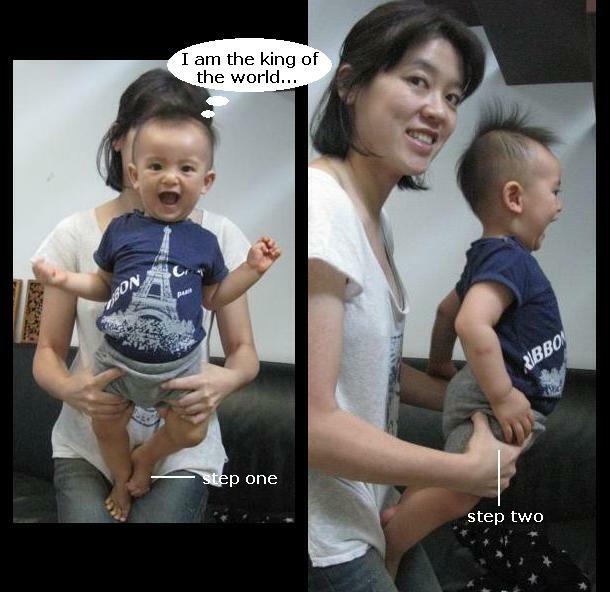 Fashion Tips: Ano ne Baby striped one-piece. 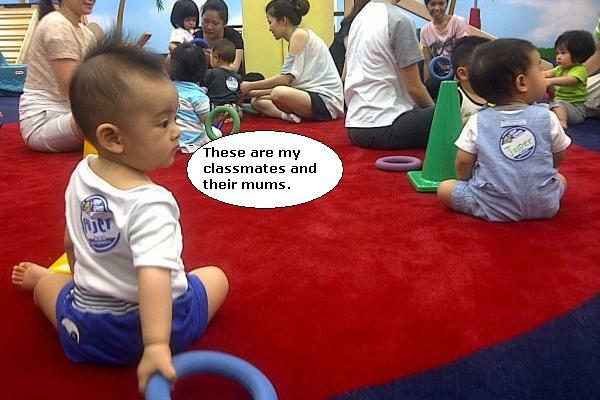 This morning, mon bébé went to his “Tiny Tykes” (7-13 months old babies) gym class to do some stretches. The teachers led a group of dozen babies and parents to do some exercises for 45 minutes. 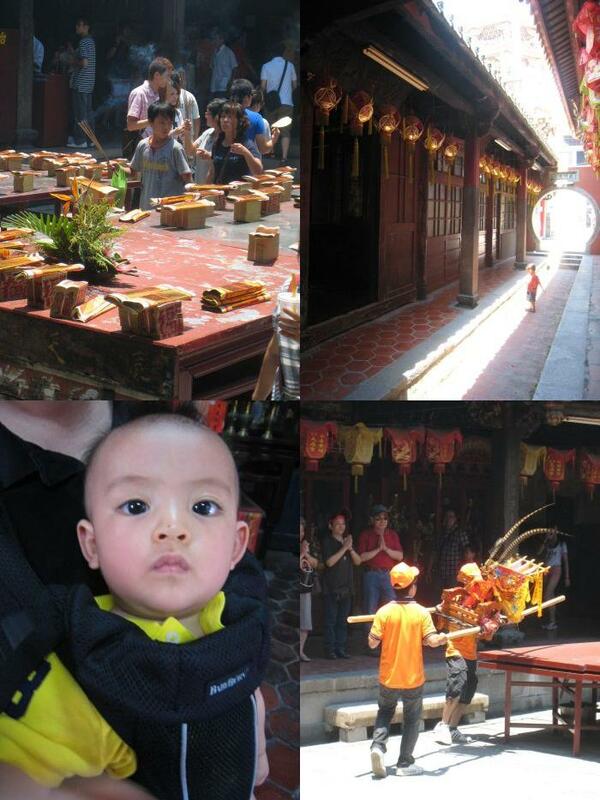 At first, mon bébé was nervous and a bit stunned by the new environment. 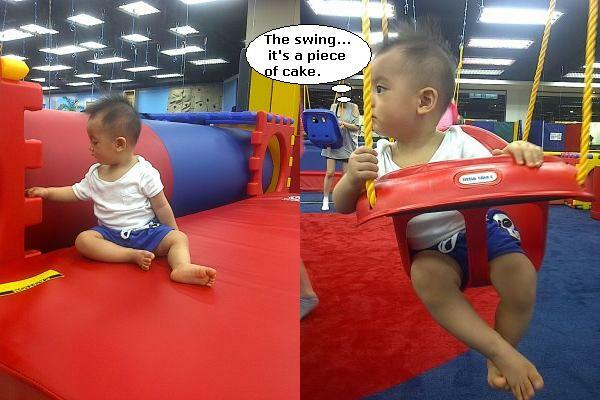 But little by little, he came to enjoy himself and tried out all the equipments there. For me, the best thing was that mon bébé fell asleep soon after we stepped out of the gym. 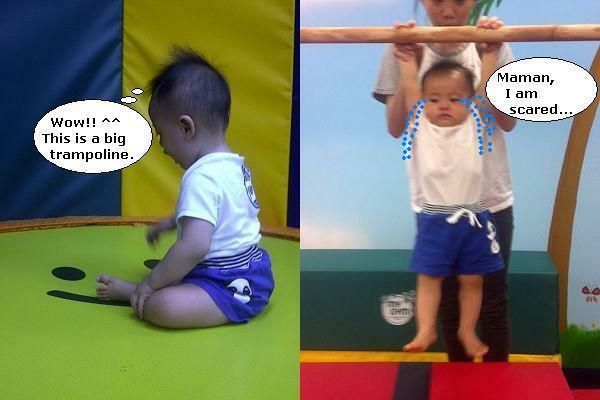 Fashion Tips: Baby Gap white bodysuit & made in Korea blue shorts. 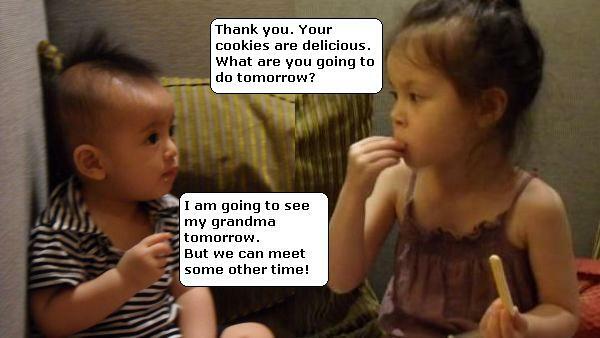 Mon bébé was meeting Zoé for the very first time this afternoon. 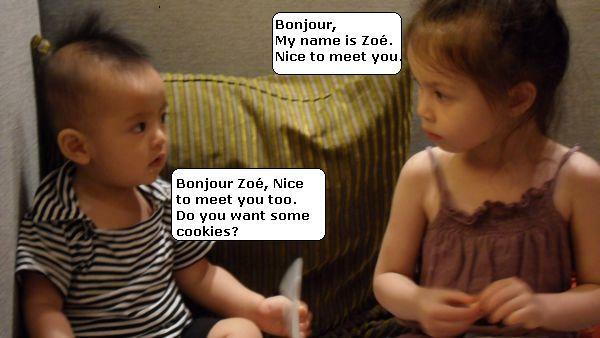 Zoé is a 4- year old, lovely, french-taiwanese little girl. I have been a friend of her mum for almost 10 years. No wonder mon bébé and Zoé seem to have great connections. Mon bébé is 9 months old. He has 2 teeth. He likes to eat bread, white rice and banana. 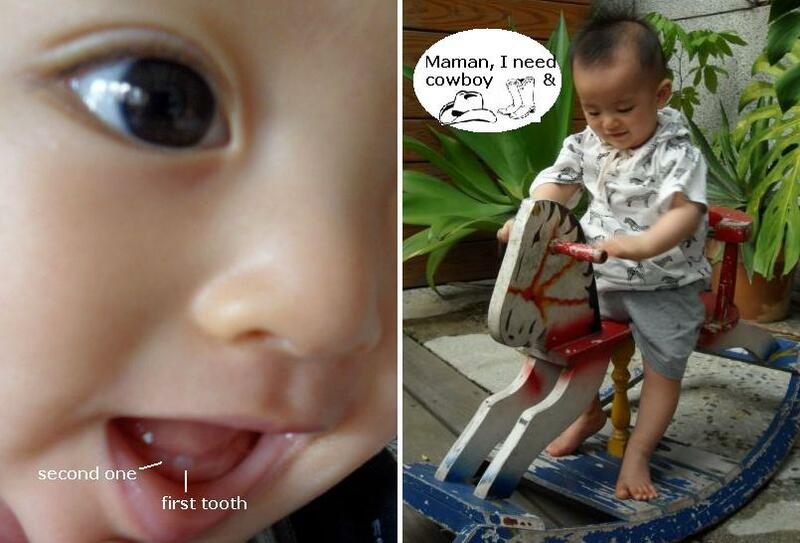 He can crawl very fast, stand for a while, and, ride a wooden horse!! Fashion Tips: The black/white zedra hoodie and the grey shorts are from local nameless brand. 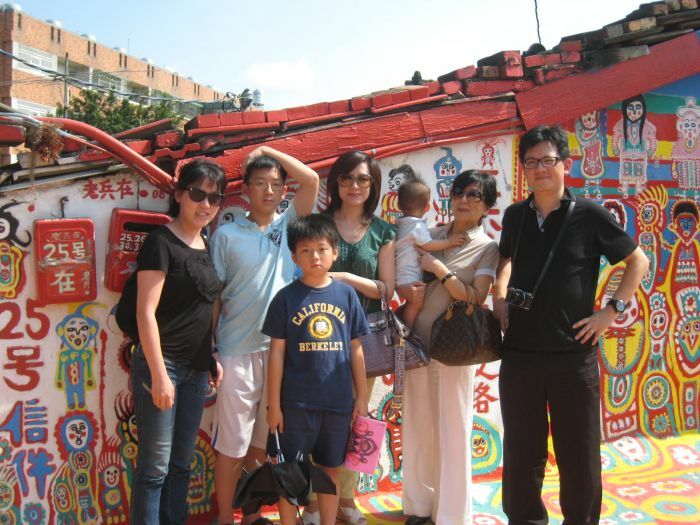 This past weekend, mon bébé had a great trip in Taichung with A-Ma, Papa, Maman, Auntie Anna, and his 2 favorite cousins. A short trip, but we went to more places than we planned. 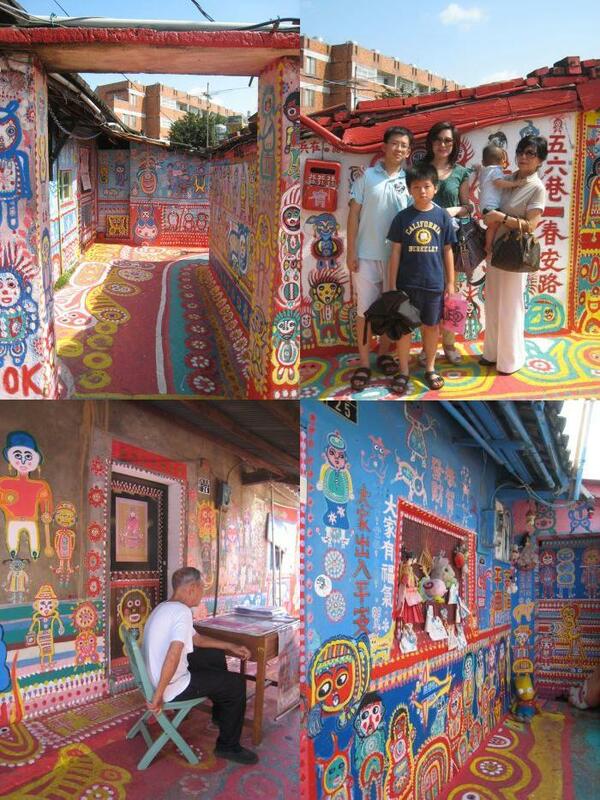 We visited Carton King’s place, went to Lugan, and stayed at Hotel One. We tasted lots of flavors from Fengchia night market. We also had a 2-hour long French lunch…. Mon bébé discovered many new things and was excited all the way. 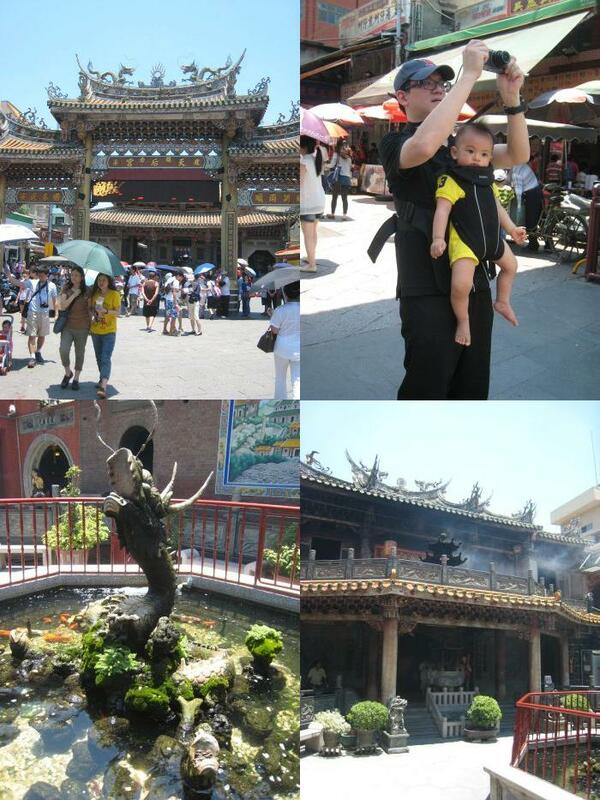 Here are some snapshots from our fabulous trip. Fashion Tips: Both mon bébé’s outfits are from Ralph Lauren.